's-Hertogenbosch, The Netherlands - Today Kinepolis is inaugurating a brand new cinema in 's-Hertogenbosch and doing so in style with the national premiere of the Dutch movie 'Redbad'. 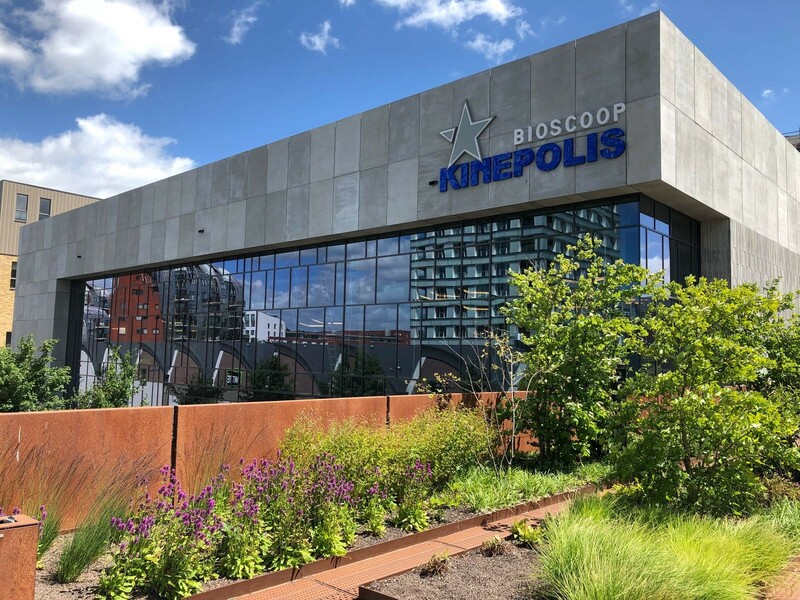 For Kinepolis, this is the fourth newly constructed cinema in the Netherlands in two years (after Kinepolis Dordrecht, Breda and Jaarbeurs Utrecht). Kinepolis entered the Dutch market in 2014 and now operates 18 cinemas in The Netherlands, eight of which (including 's-Hertogenbosch) offer the Kinepolis brand experience and bear the name Kinepolis. The new cinema in 's-Hertogenbosch has 7 theatres - with a total capacity of 1,027 seats - all of them equipped with laser projection. Laser projectors deliver crystal-clear image quality and also consume less energy than Xenon lamp projectors. After Kinepolis Breda and Jaarbeurs Utrecht, Kinepolis 's-Hertogenbosch is the third Kinepolis cinema in the Netherlands to provide laser projection in all theatres. And, what's more, one of the theatres (theatre 7) is a 'Laser ULTRA' theatre, where visitors can enjoy razor-sharp 4K laser projection combined with the immersive Dolby Atmos sound system, giving them the feeling of truly being at the centre of the action. "I am proud that we can offer, as of now also in 's-Hertogenbosch, the ultimate movie experience that Kinepolis stands for: the very best picture and sound, comfortable seats, customer-friendly service and a varied programme of films and film-related events. Everyone will find something to their liking here", says Eddy Duquenne, CEO of Kinepolis Group. Both Roel Reiné, the director of Redbad and well-known for, among other things, the 2015 adventure movie Michiel de Ruyter, as well as the cast of Redbad will be present at the premiere in 's-Hertogenbosch. Redbad follows up on the success of television series like Game of Thrones, Outlander and Vikings and is set in the turbulence of the 8th Century A.D. The young Redbad, son of King Aldigsl, questions the outdated pagan rituals of his people. After a dispute with his uncle, he ends up with the Vikings, where he first learns the strength of his own culture. Once back in Dorestad, he does everything in his power to save his sister from violent conversion by the Franks. In Europe, Kinepolis Group NV has 51 cinemas spread across Belgium, the Netherlands, France, Spain, Luxembourg, Switzerland and Poland. Since the acquisition of the Canadian movie theatre group 'Landmark Cinemas' in December 2017, Kinepolis now also operates 45 cinemas in Canada. In total, Kinepolis Group currently operates 96 cinemas (44 of which it owns) worldwide, with a total of 836 screens and more than 180,000 seats. Including the acquired Canadian organization, Kinepolis employs 3,750 people, all committed to giving millions of visitors an unforgettable movie experience.